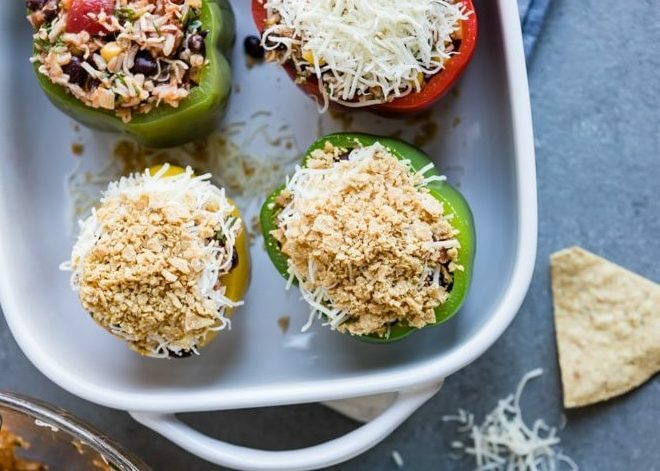 Vegetarian Stuffed Peppers are filled with chipotle-flavored rice, beans, and vegetables, then smothered with melty cheese and crunchy tortilla chips. Last Thanksgiving, when my dear friend Stephanie asked for a vegetarian option she could serve her non-turkey-eating relatives, this is what I suggested. 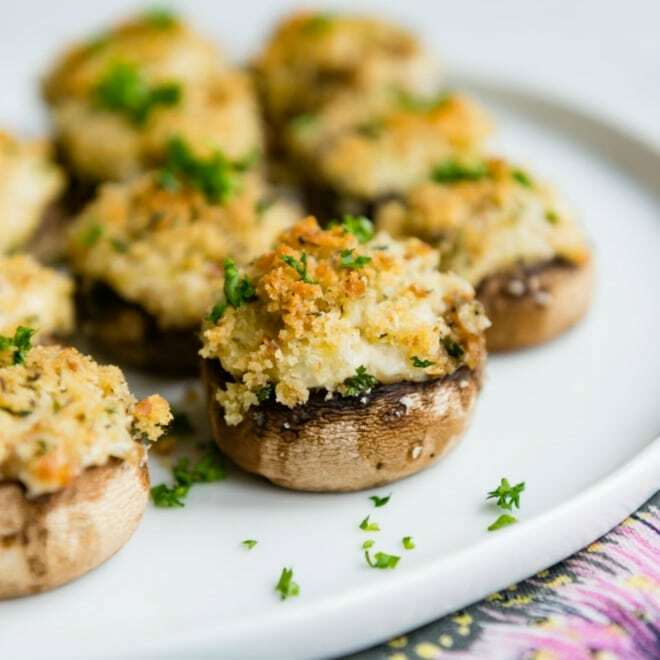 After all, you can feed a vegetarian noodles (possibly with vegetables mixed in), or you can serve a True Vegetarian Entrée. 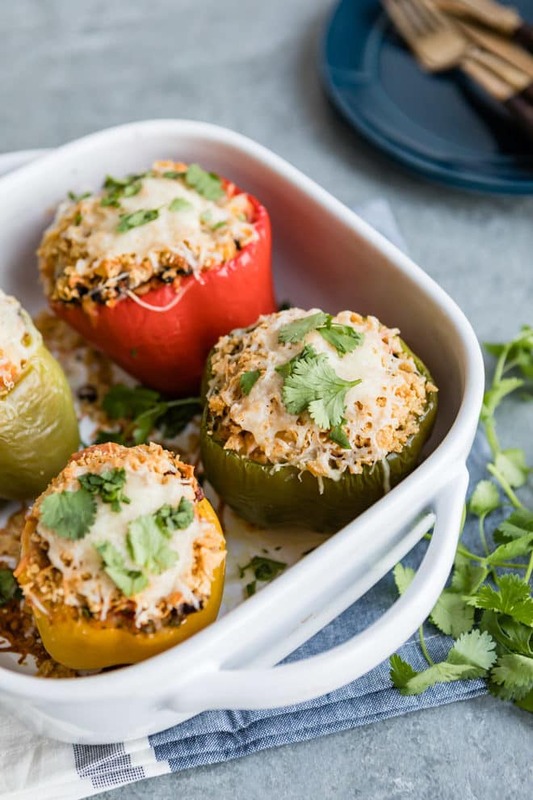 With spicy rice and beans, vegetables, and cheese topped with chips, even the carnivores in your life will eat up these stuffed peppers! Start by par-boiling bell peppers in generously salted, boiling water. Turn them upside down to drain. To make the filling, sauté some onions in oil and mix with garlic, black beans, corn, chipotle and peppers. Next, stir in cooked rice, tomatoes, cheese, and cilantro. Fill the peppers right to the brim with the filling. Finally, top with more cheese and some crunchy tortilla chips. Bake until heated through and melty! If you are vegan, simply leave out the cheese. Have cans of pinto beans on hand? Use those instead of the black beans. Many members of my family dislike cilantro, so I used parsley. I love the colors of red, orange, and yellow bell peppers, and I also think they are sweeter than the green bell peppers. However, any combination can be used here. Same with rice: Use white or brown as you please. How long do you baked Stuffed Peppers? 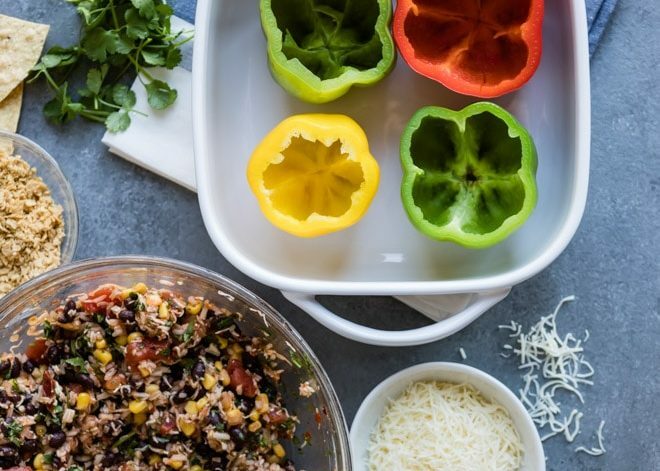 Bake these easy stuffed bell peppers for about 30 minutes in a 350-degree oven. Everything in the filling (the rice, the beans, and the peppers themselves) are already cooked so you just have to heat everything through and melt the cheese. The best part is, the peppers can be stuffed in advance (the day before) and then baked right before serving. This is a great time-saver on a busy day, whether it’s Thanksgiving or just another week night with a zillion things going on. 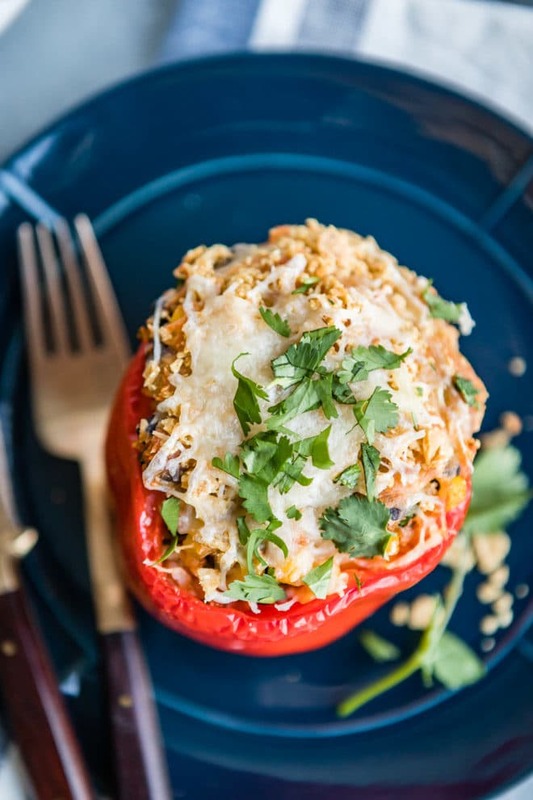 Save these Vegetarian Stuffed Peppers to your “Main Dishes” Pinterest board! In a large stock pot, bring 4 quarts of water and 1 tablespoon salt to boil. Trim 1/2-inch from the top of each pepper and remove the stem and seeds. Add peppers to the water and cook until they begin to soften, about 3 minutes. Remove from water and place cut-side up to cool. Meanwhile, preheat the oven to 350 degrees. Heat oil in a large skillet over medium-high heat until shimmering. Add onion and cook until softened, about 5 minutes. Add garlic, chipotle peppers, corn, and black beans, and stir until heated through. Pour into a large bowl. 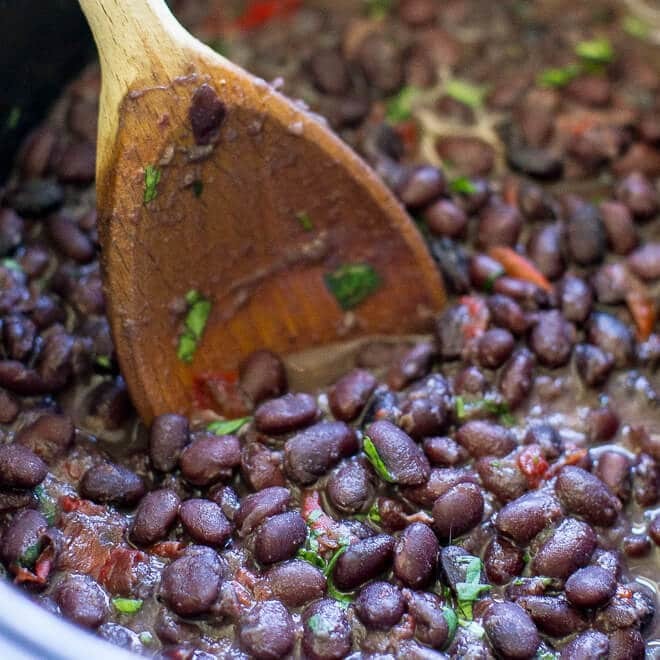 Add 1 cup cheese, rice, tomatoes, and cilantro to the large bowl with the black beans and stir to combine. Place the peppers in a 9” x 9” baking dish. Divide the filling evenly among the peppers. Top with remaining 1/2 cup cheese and crushed chips. Bake until the filling is hot and the cheese is melted, about 30 minutes. Interesting variation. 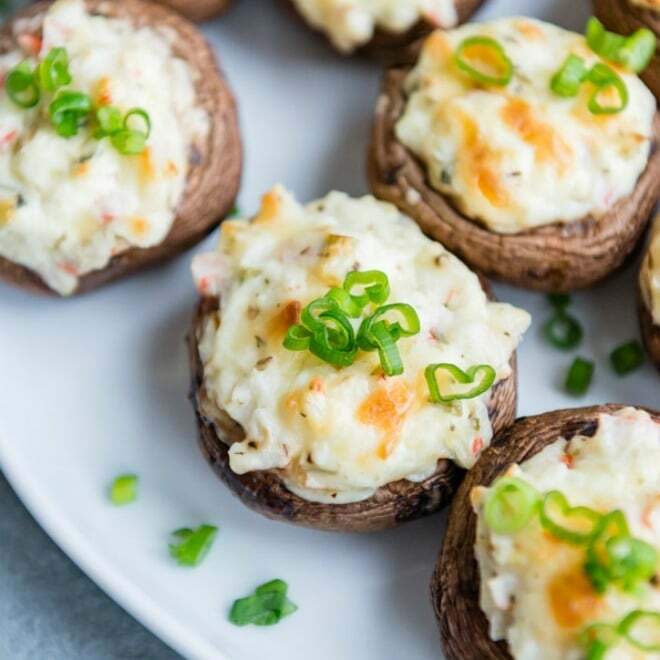 This is one of those dishes you can do a lot with and they’re always good. 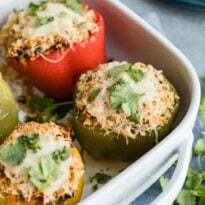 These could be named Mexican stuffed peppers with the added chipotle, Spanish rice, crushed chips and cheese. Par cooking the peppers really speeds the baking process. By omitting the cheese and chips, they probably would freeze well. 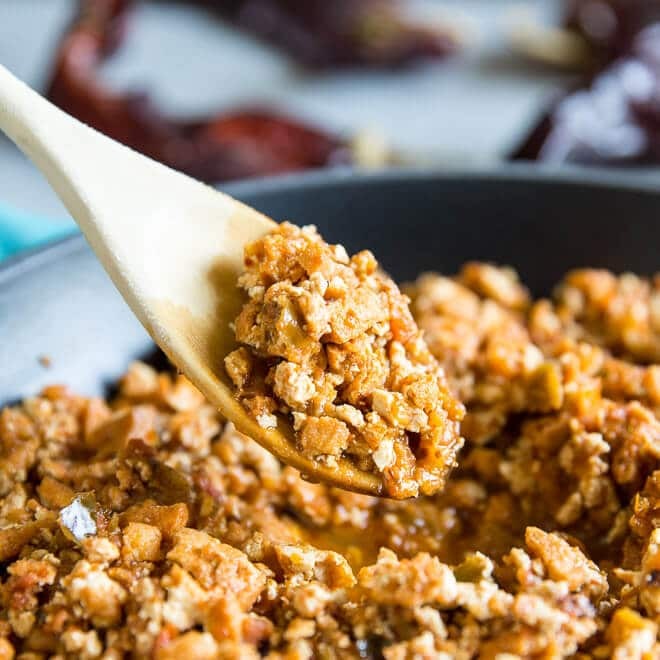 I make mine 15 per batch but use a lot of ground beef – they freeze very well. The peppers become a bit watery but you’re going to cut them up anyway. The great flavor is still there. My husband absolutely loved these peppers. I’ll definitely make them again. We try to eat vegetarian as much as possible, and no one would miss the meat in this recipe. Thanks for a great variation!